Named sea cows because of their habit of grazing in herds and being an easy source of food, Steller's Sea Cow was rapidly hunted to extinction. They were the largest of the sea cow family, bigger than manitees and dugongs… Adults were up to 9 metres long (about 30 feet)! Steller’s Sea Cow’s lived in herds, floating close to the surface to feed on sea grasses. The Steller’s Sea Cow became extinct in 1768, just 30 years after it was discovered. 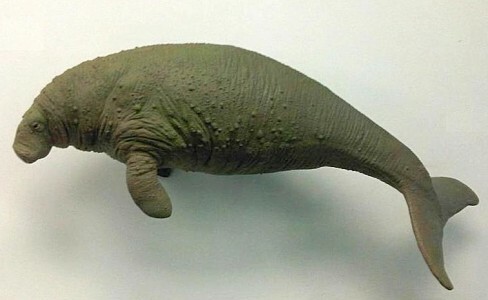 Their speedy demise was due to rapid hunting by humans to provide meat for long sea expeditions – 1 sea cow was said to feed a ship full of men for 30 days. They moved slowly, which made them very easy targets for hunters.